I think often about atheists, because they tend to be the most outspoken believers of any ideology which is prominent in contemporary culture, especially on the internet. Their extensive use of profanity, ad hominem argumentation, and ignorance of history and theology is often too absurd to even spend the time writing a response. I refer to those atheists who think Jesus never existed, and argue that the Bible was taken from pagan religions, etc. But sometimes the absurd bares responding to, simply because of the prevalence of it. One thing that I have always found particularly odd is the so-called "new atheists" insistence that they need to convert everyone else to their ideology. Many of the new atheists talk about their "conversion" to atheism as if it is tantamount to a religious experience which needs to be shared with the world. This then becomes an excuse to look down at other people because they are not as "smart" as the scientific atheist. One prominent atheist proposes that those who follow this ideology should call themselves, "brights" because of their intelligence which supposedly is greater than that of the "average" and "unscientific" person. But this leads me to a particular question: why do atheists care about the truth? The assumption, for atheists, seems to be that truth is necessarily better than falsehood. However, in a non-Theistic system, there is no inherent value in anything, only attributed value. Thus there is no inherent value in truth. Thus, why does it matter? Why does it matter if Richard Dawkins is right about his views of the universe? Why is that necessarily better than believing that the earth is flat and lays on the back of a giant turtle, and that when we die we all become turtles with our own worlds on our backs? In a consistent atheist worldview, it is not and cannot be better. The fact is that atheists know that truth has inherent value. This is the basis for the whole contemporary atheist movement. They know it because it is a part of the fabric of human nature, of the universe. God Himself is truth. He is the source of truth, ethics, beauty, and goodness. Thus there is inherent value in all of those concepts because of the nature of God's character. 1. God exists, and value exists through the nature of His own character. Truth matters and is inherently valuable. 2. God does not exist, and there is no value in anything. Truth is not necessarily better than falsehood. Thus, truth doesn't matter. The atheist can't have it both ways. Either truth is valuable, as is God, or truth doesn't matter and neither does atheism. 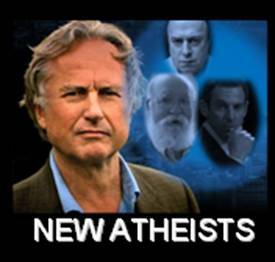 Either way, the contemporary atheist movement is utterly inconsistent with its own principles. By the way, I have control over which comments get published, and angry profane comments yelling about the flying spaghetti monster or shell fish will not. I appreciate thoughtful responses. I'm not sure if an atheist caring about the truth implies that they believe that there's any inherent value in truth beyond the personal. Would you really expect someone who just really, really liked truth to behave much differently than someone who believe it's value is inherent in the universe somehow? This also isn't incompatible with the fact that people overwhelmingly tend to value truth, since that could quite easily be explained as an evolutionary advantage (after all, a being that modeled its environment well would be more likely to survive than one who modeled it poorly). In addition, I think you need to expand a bit more on how exactly the existence of a deity is a requirement for something to be inherently valuable and why a deity existing, but not placing an inherent value on truth isn't an option. After all, one still has to judge whether they care about what a deity values, and I don't see why someone can't disagree with that deities judgments. Finally, please do keep in mind that with just about any group, it's the idiots who tend to make the most noise. I assure you, when a Christian stops by places frequented by atheists, it's more often than not the type ignores all criticism, throws out insults, constantly rants about evolution in such a way that it's obvious they don't even know what it is, and acts as if any questioning of their scripture by nonbelievers means that nonbelievers will ignore all evidence. I say we try not to judge all atheists by Dawkins' followers for the same reason that one shouldn't judge all Christians by those of Ray Comfort. Gao- Thank you for a very thoughtful response. I understand your evolutionary argument, and it does make sense. However, the way that (at least the Dawkins type) atheists judge and condemn others for their "falsehood" seems to go far beyond personal preference or an acknowledgement that a concern for truth is an evolutionary tool. Perhaps the question of values and the existence of God should be explored in more depth. This is an important topic. Unfortunately, you are correct about the loud tendencies of those who don't know what they are talking about. I too have seen some very ignorant and arrogant Christians who act just as ridiculous as the Dawkins type atheists. Thanks again for a helpful response. Perhaps the "God gene" is more ubiquitous than proposed? Or is this evidence of God's imprint that we just cannot shake? Elaborate and detailed schemes have been devised enlisting all the physical sciences yet no one has a clue how the first cell came into existence. The DNA/Protein enigma is unsolvable (see Meyer's Signature in the Cell and Behe's Darwin's Black Box). And the only response from Dawkins, et al is 'ad hominem.' When you think about it for a moment, that's all they can respond with. The science and mathematics of this problem is airtight. What Jordan points out is exactly the problem. The new atheists have leaned so heavily on an empirical epistemology that has, with the ability to peer into the cell's tiniest recesses, finally betrayed them. They have nothing left now but blind faith and ad hominem polemics. In addition, keep in mind that for many atheists, the issue is that they believe that empirical methods are the only way to really find out the truth of the universe. What matters is that they have confirmable answers to what they can, and admit that they don't know what they don't know. For them "God did it" is just as much a meaningless and unhelpful answer as "nature did it" would be to you. For this reason, in order to convince them that God is more likely the cause of life than natural phenomena of some sort, you can't merely point out that we haven't worked out the natural phenomena (they already knew that), but you need to have some sort of way to demonstrate that on its own, a supernatural creation is likely. I'm pretty sure that issue above is a big reason that both sides tend to talk past each other in these debates. And the tendency of many atheists to just pull the "Flying Spaghetti Monster" stuff doesn't help either. Faith onlyism says "God exists but doesn't care about morality; so make your sins strong." Atheism says "God doesn't exist; so make your sins strong." What's exactly is the difference? Functionaly, there is none. So you believe in Genesis and they believe in evolution (assuming you haven't gone as far as joining them there). So long as you say "faith alone, faith alone" you ARE an atheist. That is not at all an accurate or meaningful understanding of sola fide. It depends on whether you follow the New Perspective or the old Lutheran Perspective. According to the New Perspective, "justification by faith alone" only means initial justification. Pelagius says the same thing in his commentary on Romans commenting on the passage in Romans 4 where it says "God justifies the impious by faith" -- Pelagius takes the word impious as meaning a novice or new convert and thus argues that new converts are justified by faith alone (yes, he even uses the phrase "faith alone"), but once they become veteran Christians they must live sanctified lives. But in the old Lutheran/Augustinian perspective, "justification by faith alone" is forever, not just for the novice, but equally for the veteran, so that you can as Luther urges Melanchton to do "make your sins strong." There is no need -- even if you've been a Christian for a hundred years already -- to make even effort towards living a holy life because justification by faith alone works just as well as it did in the beginning. So the question is which perspective do you follow? If the Lutheran/Augustinian, then you are a liar when you say "That is not at all an accurate or meaningful understanding of sola fide." If you're a New Persective or Pelagian guy, then fine, but your view of "faith alone" is not the view held by the majority Mr. Pelagian guy. The Augustinian\Lutheran version is atheism. What is the doctrine of the two kingdoms?